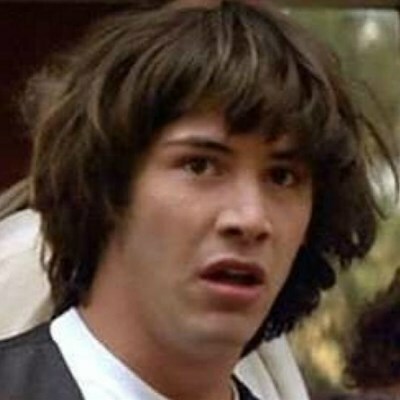 Conspiracy Keanu is an advice animal image macro series featuring a still photo of the Canadian actor Keanu Reeves wearing a frightened expression from the 1989 film Bill and Ted’s Excellent Adventure. The images are typically captioned with paranoid conjectures and shallow philosophical questions that show similarities to the Paranoid Parrot, Philosoraptor and Stoner Dog advice animal series. Because I only post original content. He's wearing a man thong. He's to young for you gurl. is actually a Jewish false flag operation? נוצר כדי שלא נלבש אוזניות ואז נהיה פגיעים לקילגרייב?